Hard to believe it's already December, which means Christmas is just around the corner. That means it's time to start decorating our Christmas tree with some homemade ornaments. Every Christmas, my boys make Christmas ornaments that they can then give as gifts to family and friends. So the easier, the better. Last year, we made super easy washi tape ornaments. 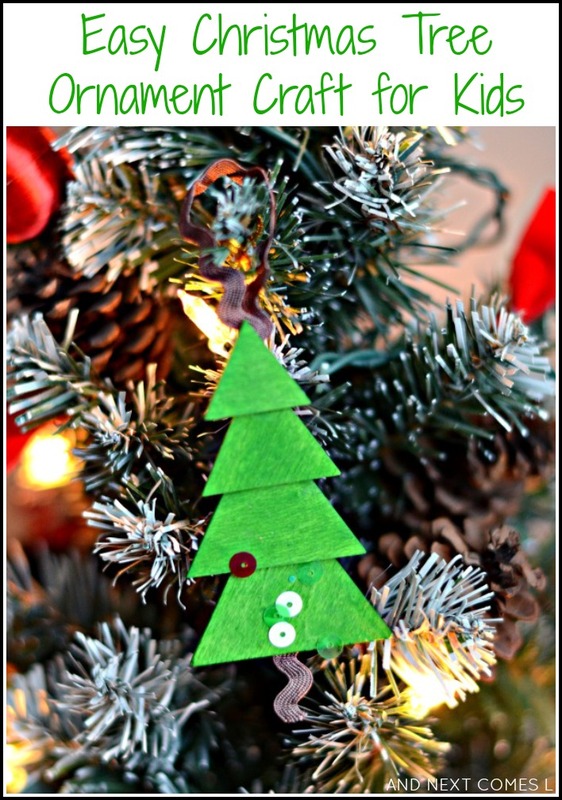 This year we made little wooden Christmas tree ornaments that are also ridiculously easy. My boys made these in less than 10 minutes.